Born #5 out of 5, Mambo has never been last again. She is the most likely of Kayla’s kittens to be the first to investigate something, explore a new area or follow her human to see what they are up to. She is confident and friendly but mostly just wants to play until she’s exhausted. On the rare occasion she is exhausted she will happily allow you to be the pillow she rests up against until she is ready to get back to slaying imaginary prey to protect her humans from harm. 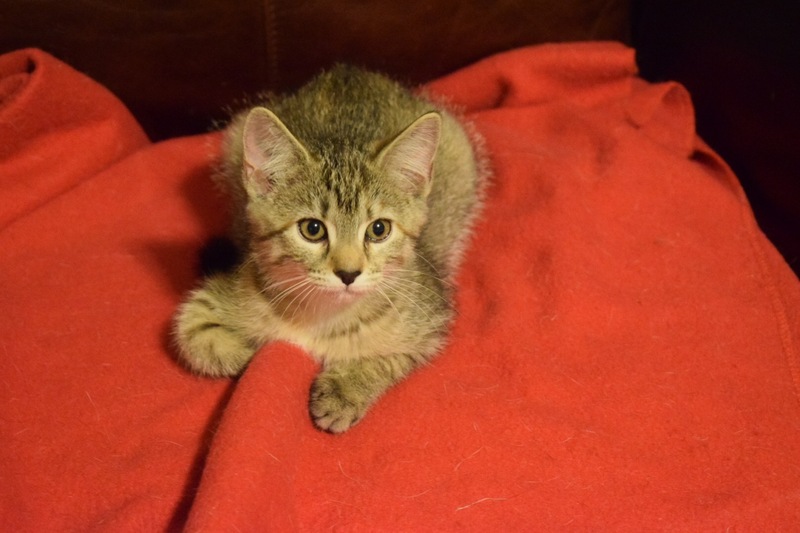 All of Kayla’s kittens are curious and playful. 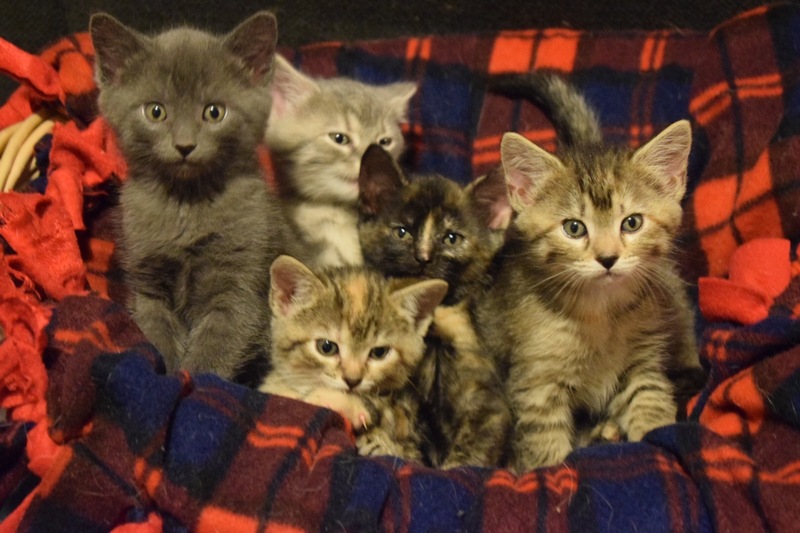 They have the slight hesitation of caution that most kittens have, but there isn’t a scared or shy one in the bunch. They get along equally well with each other and have been exposed to other adult cats throughout their life so likely will adapt well to any accepting cat. 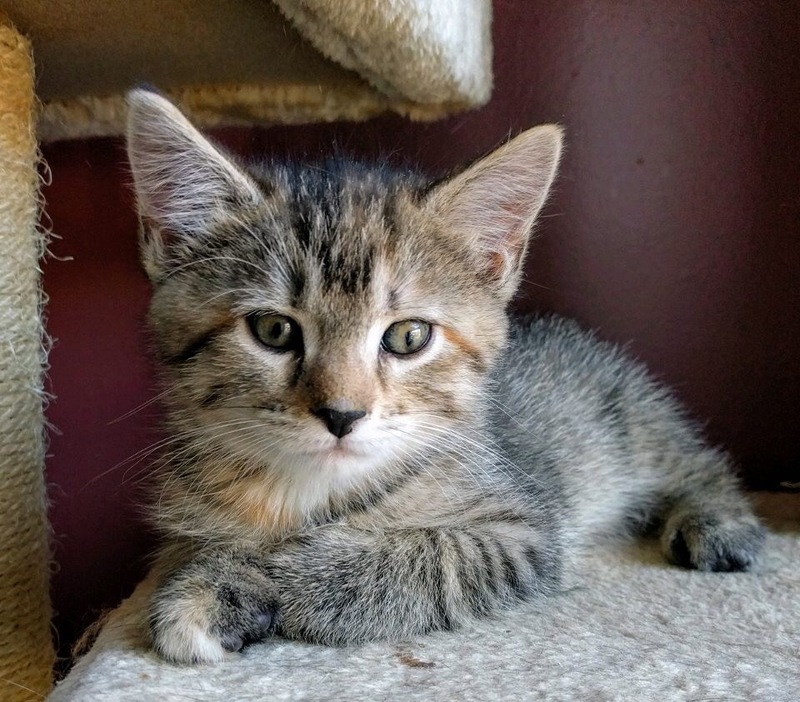 They will do best in a home with another feline (possibly canine) playmate as they are a bundle of energy with a voracious appetite for play. They are fine about being held, but as they are still kittens they are usually a bit impatient about getting back to playtime. They love toys and play with virtually every one put before them (and a few other things they deem worthy of the designation). The family favorites are the laser pointer and the crinkly tunnel.